Here is some step by step free information about building a niche site and profiting from it. Last edited by Ghost on October 27th, 2016, 3:10 pm, edited 1 time in total. Yeah, I have actually been approached by an Amway scammer before. I mean, it COULD work, theoretically, if you can keep recruiting people into the cult and therefore profit. And if you can find plenty of suckers to buy that crap. Obviously, not going to work for most. It's a de facto scam, if not technically one. And the members are cult-like too, apparently. Very unsettling. Yeah true. Making money by teaching others how to make money, without any real product or service to sell, is kind of unethical and deceptive. I mean, sure, Amway has products, but they are not the main product. If they were, then it'd be a direct sales company. Also, they make false promises and everyone in it exaggerates about their income. Last edited by Ghost on October 27th, 2016, 3:13 pm, edited 1 time in total. Last edited by Ghost on October 22nd, 2016, 4:02 pm, edited 1 time in total. Ghost wrote: I changed the ad placement and other things as per your suggestions. I also added some other things under those, including a donation button. Do you think that is OK or a bad idea? I guess I really need my own domain too then. I can write and create lots of good content, so I guess I really do need my own site. How do you like squidoo.com for making money? That was the main site I wanted to write for. But I think that things won't really come together for me if I don't get my own website and put my best stuff there, and then display it around the web. I joined a freelance site, but haven't gotten any work there yet. I have a job, so I don't have to rely on that while I'm building up passive income. Your blog placement looks better now. But why did you put a small rectangle ad in the right sidebar area rather than a skyscraper ad? That's a waste of space. You should put one of the 120x90 or 160x90 skyscraper ads there. A donation button makes you look a little desperate, plus very few or no one will donate too, so I'd leave it off there. But you can leave it on if you want. It won't hurt. I don't know anything about squidoo. There are lots of freelance sites. Try other ones. Have you tried http://www.demandstudios.com? Phoenix Sosa says he does well with them. I believe that. POF is pretty popular. This guy was pretty savvy to create a dating site and then establish it in an oversaturated market. You should read up on Hotornot.com and the founder. That site didn't seem like it would turn out that much money but he built it up and then sold it for a huge payout. I don't believe that other guru you posted who says he made thousands each day off of his ebook though. Last edited by Winston on December 31st, 2011, 8:08 pm, edited 4 times in total. "It's only simple in concept. But in practice, it's another matter. You have to offer something that people are willing to pay for, such as a product or a service. Or you have to have very good content on your website that draws traffic so you can put ads on it and make money, and affiliate commissions too. This site is a good example of a site with great content that draws a ton of traffic and makes good ad revenue. It also offers David Icke's books, which his fans are willing to pay for, and makes money from that too. So it offers content and products. Not everyone can just start a site and do that. It's not that easy in practice. Sure someone can blog about something that interests them, but that's not enough, because for every topic there are many other sites out there that are better, and you can't compete with them, so you won't get enough traffic, etc. For example, if you blog about cooking, there are many other blogs and sites out there that are established in cooking, which you as a newcomer could never compete with. So you will not get enough traffic to make money off of. Or you can do a niche topic or unique one. That's what I did. I started two very unique sites, so that there was no competition. I also had a pre-existing email list and fan base to direct to my new sites. And that worked for me. If I didn't pick a unique topic or idea, I would not have been able to compete with others sites out there. For example, there are already many conspiracy sites, such as this one, so a new one wouldn't have a good chance of becoming too popular. 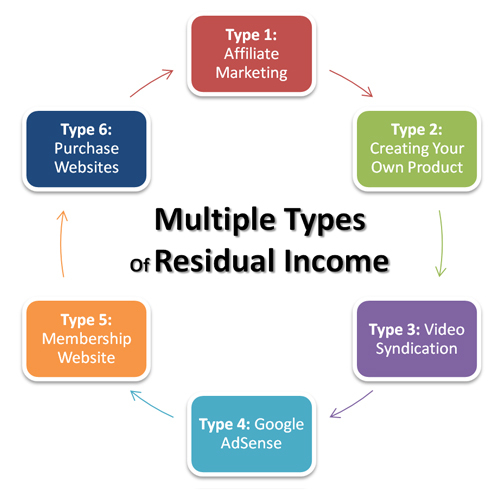 But it was all slow and gradual, not dramatic as the internet marketing gurus claim." I've moved this thread to the Making A Living section of the forum and stickied it because it's an important topic and FAQ. Hey check this out. 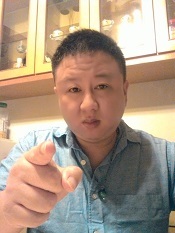 This interesting guy I've been talking to named Walt Goodridge also makes a living from online passive income that allows him to travel the world, by selling his scores of amazing ebooks and books online. He seems like a very interesting guy with a lot of passion, freedom and zest for life. Walt's philosophy is: F R E E D O M I S A C H I E V A B L E! 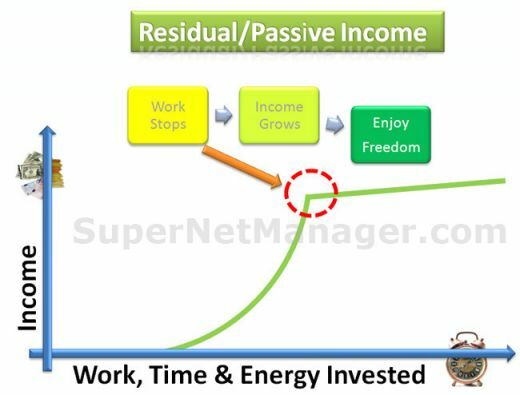 Here are some flowcharts and images of passive income that I found. Check them out. Some nice charts there, but they sure as hell don't show how insanely hard work it all is. e.g. Type 6 "purchase websites". Yes you can buy websites on Flippa, but how the heck do you know which sites are worth the money? xiongmao wrote: Some nice charts there, but they sure as hell don't show how insanely hard work it all is. Yeah, well it's only easy in concept, not in practice. If you want, you can post some of your major websites here, to show people how you layout your sites and monetize them as an example. Your sites have a nice modern wordpress layout and theme.